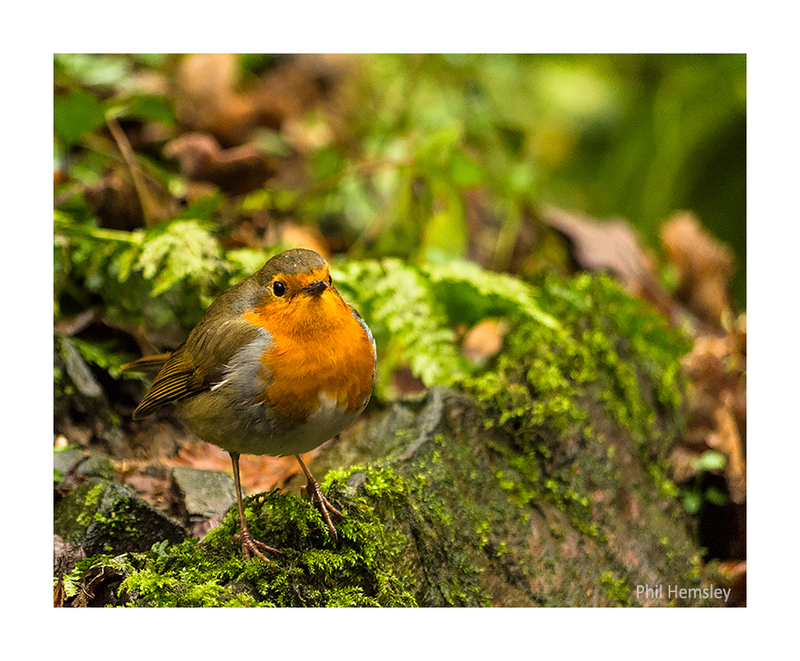 A cheerful European Robin (Erithacus rubecula) - amongst the mossy and leaf littered plutonic rocks in the Longtimber Woods on a rainy winter's afternoon. Thanks very much indeed Paul  The Robin was only about 3ft away from me in this photograph, having spent five minutes flying round it's territory and deciding I was no threat  Very pleased it stood in front of the ridge of granite and the curving fern, thoughtful of the bird! Great photo, wish I lived closer to Dartmoor. Lots of opportunity to get shots of the great British countryside and wildlife. Thanks very much It's a magnificent area and I feel very lucky to live so close to it. The landscapes are sublime, the wildlife is rich but also good at hiding & running / flying away... working on my ninja style stealth skills. nice sharp image and a helpful Robin!